Frank B. Armstrong Ltd. has been a registered company in Barbados since 1926. The company has a very strong history in the Distribution trade and is one of the only privately owned Distribution companies left in Barbados. The Managing Director is Frank Armstrong who is the third generation in the business. The company has an excellent reputation in the retail trade for fast and efficient service. and a very solid financial record in servicing all debts to Business Partners. Bruce and Keith and continues to grow with Bruce’s son Frank as the current Managing Director. The company is family owned and decisions can be made promptly without having to go through multiple levels of management or boards as is commonly found in larger companies. Frank B. Armstrong Limited has affiliated companies in St. Lucia, St. Vincent and Grenada. They all have their own warehousing facilities, staff and management teams. 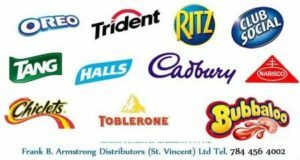 All of these businesses have an excellent reputation in their individual territories for delivering maximum effort in promoting the products of their Business Partners. 1) Caribbean Industrial Inc. – A distribution company specializing in providing quality safety supplies, chemicals, lubricants etc. 2) Aqua-Tec Inc. – The leading pool company in Barbados, which consists of a pool store, service facility and construction. Having offices and warehouses on four Caribbean Islands allows the group to achieve a thorough distribution throughout most of the Eastern Caribbean. Some of the smaller markets are serviced by sales staff from these four islands. Frank B. Armstrong (St. Lucia) Ltd. was established in 1964. Frank B. Armstrong (Grenada) Ltd. was established in 1965. Frank B. Armstrong (St. Vincent) Ltd. was established in 1970.